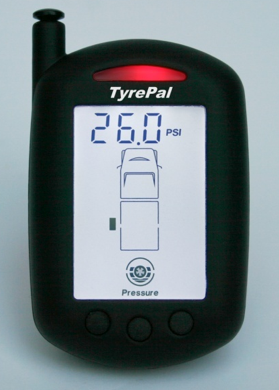 TyrePal Ltd , the specialists in tyre pressure monitoring systems (TPMS), have upgraded their TA22 models so that pressure settings can be easily adjusted. The TA22 has become highly successful for caravan and motorhome owners as it provides continuous monitoring of tyre pressures and immediate warning if things are going wrong. Caravanwise Caravan Insurance Quotes. Get an easy instant on-line quote for your touring caravan today. With these new models, designated TA22X, you can simply change pressure settings whenever required, the monitor stores the settings, and they come into effect when it has been operating for about 20 minutes. This feature makes the TA22X ideal for caravanners who need to regularly change pressures on their car – before the journey with their caravan, when they arrive at the site, again when they travel home and finally when they get home. 1. Set the usual cold tyre pressures for your vehicle (up to 145psi). 2. Register the sensors by screwing them onto the tyre valves. 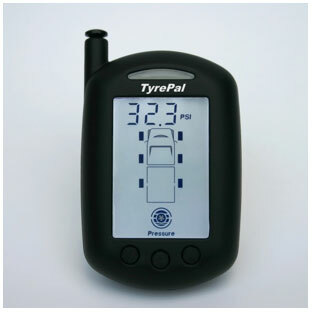 The TA range is designed to monitor your tyres and display diagnostic information and warnings if things go wrong. 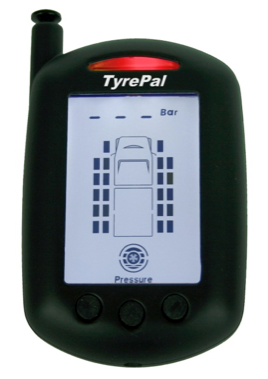 The system automatically sets alert levels based on the target tyre pressures that you input and provides immediate diagnostic information in the event of a tyre problem – it will only alert you when there are problems. The display defaults to just an outline of the vehicles and the wheel positions being monitored, but gives audible and visual alerts in the event of an abnormal situation. However, a push button enables you to scroll through the wheels to display the actual pressures and temperatures at any time. The TA22X range is extremely versatile and can be extended with additional sensors or a signal booster if requirements change. It comes in various configurations, starting with a 2-wheel system (TA22X/2) for a single-axle caravan where the towcar already has TPMS and the owner just wants to include monitoring for the caravan or trailer. Because it is so easy to add additional sensors, users can add the facility of monitoring their caravan spare wheel by just ordering an additional sensor. The TA22X/4 four sensor system is suitable for an owner with a twin-axle caravan (and again an additional sensor can monitor the spare wheel). This configuration can also be used on 4-wheel motorhomes. The TA22X/6 will suit either tag-axle or twin-wheel 6-wheeler motorhomes, TA22X/8 suits a caravanner with car and twin axle caravan, and the TA22X/10 is ideal for a 6-wheel motorhome towing a car. Any of the TA22 systems can be extended afterwards with additional sensors up to a total of 22 wheels, and a booster can be added afterwards if the transmission distance so requires. Order online or get further information at Tyre Pal.